Leaves, dirt and debris have never been easier to keep at bay in your outdoor areas - the Ryobi 2400W fixed tube blower vacuum can clear it all quickly and easily. Whether you're clearing leaves from your patio or blowing seeds and small branches from your footpath, this versatile power garden tool lets you tackle outdoor cleaning tasks with confidence. Like every other tool in Ryobi's range of electric power garden tools, you can experience the high performance and great results offered by our blower vac. With correct operation and regular maintenance, your 2400W fixed tube blower vacuum will be up to the task for years to come. 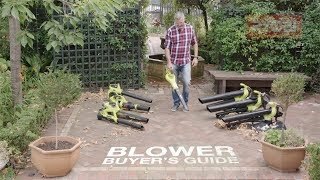 Get your Ryobi electric blower vac from your nearest Bunnings Warehouse today.